challenge this week, at Glitter n Sparkle. the 3d look of the butterflies in her hair. I embossed the piece behind the image, on my bigshot. 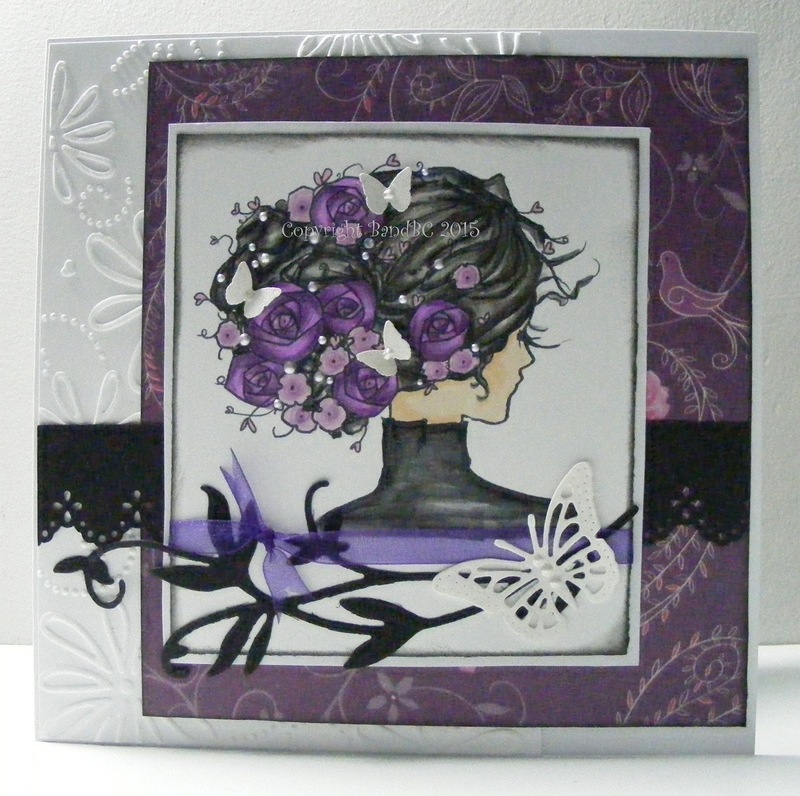 The purple paper is from a freebie pack. I've had it years and not used any of it - till now! and also used some pencils on top of her hair and flowers, to give depth of colour. small piece of punched border and diecut butterfly, finished her. 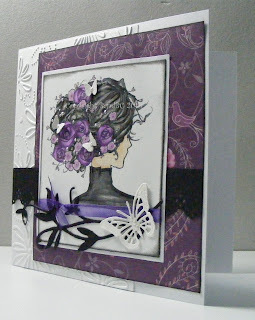 very beautiful card... love it!!! !Thanks for joining Craft your Passion Challenge this week! So cute!Thank you for joining us at Brown Sugar this week!